York is a city located in the Northeastern side of England. It was built by the Romans back in 71 AD and later captured by the Vikings in 866 AD. It is quite rich in history, you can use a 14 seater minibus hire to take a tour around york. This city makes it a top tourist destination for visitors looking to get a quintessentially British experience. Gothic buildings, quaint tearooms, cobbled streets and some evidence of murky history are some of the things that you can expect to find. There is a wide variety of attractions scattered all across York. Below are some of the top places to visit. • York Minister You can get the best views of York from the top of this spectacular building, which is the highest point in the city. Its gothic structure, as well as audio-visual exhibits in the underground chambers, will also amaze you. • Art galleries In addition to all the history in York, you will also find an array of contemporary art galleries located in almost every corner of the city. Examples include Art of Protest Gallery, York Art Gallery, Fossgate Social and Rogues Atelier among many others. • The Shambles The shambles is grouped among the best preserved medieval streets across the entire world and is probably York’s most famous tourist destination. A majority of the buildings which were constructed back in the 14 century now houses quirky independent pubs, cafés, and shops. • Jorvik Viking Centre The Viking heritage is quite an interesting part of the history of York. Jorvik Viking Centre is a museum which has life-size dioramas and lifelike mannequins to depict the Viking life. It is among the most visited place in the entire country. York Minibus has a wide collection of executive vehicles that can pick you from the airport to your desired destination or drop you off to the airport. The skilled and experienced drivers can maneuver through all kinds of traffic to ensure that you get to where you need to go safely and on time. Easy bookings, 24-hour services, and the most comfortable rides are guaranteed to make all your airport transfers as smooth and efficient as possible. You can also book a cost-effective tour to various scenic locations around York for yourself or a group of any size. The dales, moors, churches and fishing villages are just some of the places that the coach tours will take you aboard a modern, fully equipped and spacious coach. For a small group, you can get a 14 seater minibus hire York. You do not have to work with fixed schedules following the local bus timetables as York Minibus have air-conditioned minibuses available to cover any route that you and your group wish to take. This option gives you more comfort, convenience, and great prices. In case you lose a loved one, you can ensure that the funeral transportation activities run as smoothly as possible by booking the comprehensive Funerals Minibus York package. Booking such a package will ensure all attendees get to the various locations swiftly and timely. You can also book any suitable vehicle from York Minibus to attend any occasion or event. This includes night outs, birthdays, corporate meetings, weddings, and horse racing among many others. The friendly, uniformed drivers will assist you with your luggage and any other thing to ensure that you are satisfied with the transportation service. 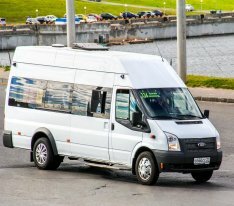 The 14 seater minibus hire York, in particular, is the most commonly booked vehicle for such occasions. There is a wide array of activities planned to take place in York this year. Some of the major ones include York Brass Monkey Half Marathon, Silver Screen Festival, Destination Viking Association, York Book Fair, Home Educator’s Day, The Wedding Affair, and Kate Smith Art exhibition just to mention a few. For those who love horse racing, there are a number of scheduled events in York Racecourse, the second biggest racecourse in Britain in terms of the prize money that is offered per meeting. York Minibus will be ready to get you to and from whichever event you wish to attend.